Non-dairy milks... The latest fad or a healthier, more sustainable alternative to dairy? To coincide with the launch of TRIBE Shakes, TRIBE’s Georgie Davies looks at the pros & cons of your potential shake-mixers and picks her winner! Pros: Low in fat. High in niacin & vitamin B6. Hypoallergenic, so a great alternative for those with lactose or nut allergies. Cons: 1 cup of rice milk can contain up to 33 grams of sugar - read the small print! Cons: A large proportion of soy is genetically modified. Research also shows it can contain phytoestrogens, plant-based hormones that may, in excess, lead to dips in testosterone, so often avoided by men. Pros: 100% plant based, made with oats which contain 50% soluble dietary fibre, including beta-glucan which is linked to stabilizing blood sugar levels. In the UK - where oats are local - likely to be the most environmentally friendly "milk" there is. Cons: Not great in tea. Pros: Milk is a complete nutritive source, providing a balance of macronutrients, protein, fat, and carbohydrates, as well as plenty of calcium. Cons: Many consumers are moving from dairy due to the reported environmental impact. Pros: High in magnesium - great for bone strength - and a natural source of vitamin E.
Make it even better and try make your own! 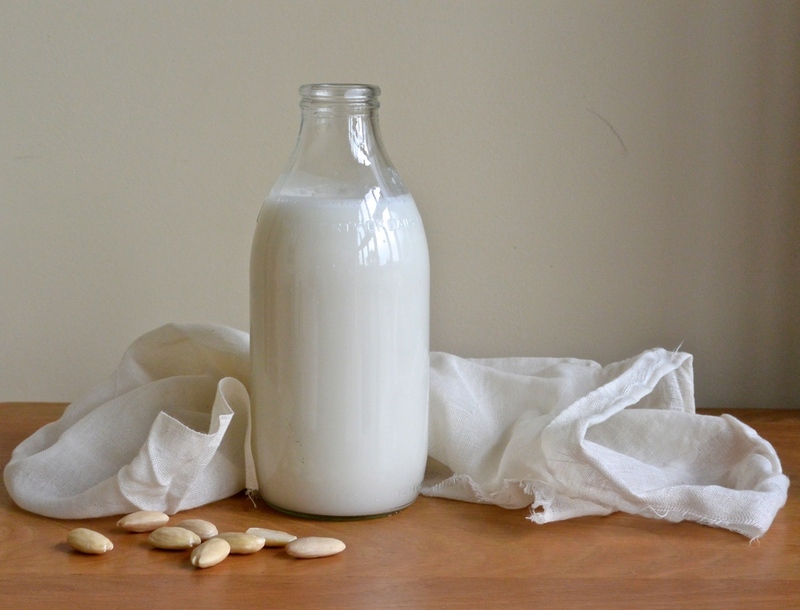 Use this super quick and easy, Homemade Almond Milk Recipe from Serena, from The Herb Diaries.